Free Trial for Qualified Customers! New customer special on home and office 3 and 5-Gallon delivery. Call today for details (919) 239-8000. Le Bleu produces only the highest quality, Ultra Pure Bottled Water on the market today. Available in 3 and 5-Gallon coolers, 12oz., 20oz., 1 Liter and 1.5 Liter bottles by the case. 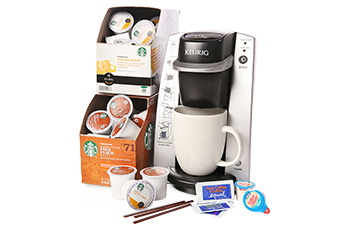 With Le Bleu coffee delivery service, you’ll always have a reliable source for Le Bleu Ultra Pure Water and Gourmet coffees including Green Mountain, Starbucks, Krispy Kreme and Donut Shop. Plus a full lineup of breakroom supplies. With our custom labeling service, you can turn your 12oz. or 20oz. Le Bleu Water Bottle into a handheld billboard. Excellent for Hotels, Country Clubs, Car Dealerships, Spas and more! Le Bleu Central is a Raleigh, NC-based, independently owned licensee of Le Bleu Corporation. We distribute Le Bleu Ultra Pure bottled water, coffee, breakroom supplies and more throughout 32 counties in North Carolina including Raleigh, Wilson and Fayetteville. Click here for the complete list of the counties we serve. 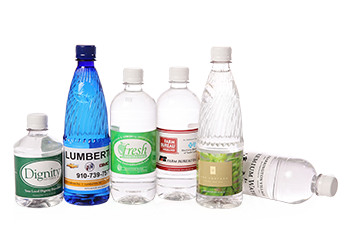 Whether you’re interested in Le Bleu’s 3 or 5-Gallon water bottle delivery or our premium private label bottles for your business or event we’ve got you covered. We can deliver 3 or 5-Gallon water and coolers to your home or office. Schedule a delivery today of our Le Bleu 20oz bottles, by the case. 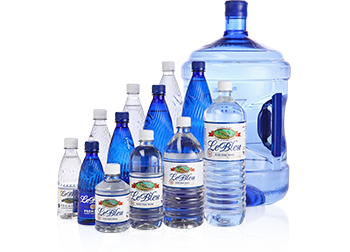 Le Bleu Private Label water is an excellent choice for special events and marketing your brand. Dependable, high-efficiency commercial-grade coolers that look great in homes and offices.